There are two groups of gamers likely to know about MYST: those of us that have reached a certain unflattering age, and others who enthusiastically track down adventure games on DS. For the uninitiated, MYST is a 'point-and-click' adventure game originally released on Mac OS in 1993. It was unique at the time for its unobtrusive story and lack of any time-limits or pressure, with the player being allowed to move on at their own pace. It was also in a first-person view, with gameplay consisting of moving between still screens, exploring and solving puzzles. As it enjoyed major success at the time, MYST has been re-released and remastered a lot, on various consoles and formats: it was even released on DS in 2007, though it gained little praise. Undeterred, UK publisher Funbox Media has decided to pick up the licence and bring the title to 3DS in Europe and PAL regions, ensuring that this old classic isn't finished yet. It's due to arrive in June and the press release is below. Having already sold in excess of 13 million units globally since its original launch in 1993, MYST is ready to make an appearance on the 3DS. The amazing adventure title which is ideally suited for the platform, it features six worlds, many puzzles to solve and clues to find. MYST offers over 80 hours of immersive gameplay and has something for everyone. With the 3D features the game really comes alive, giving players a new dimension to this already classic game. The 3DS version also introduces the first-person fantasy universe to players not yet acquainted with the series, and gives gamers extra content to explore with new landscapes and with the RIME Age added to enhance the MYST storyline. As in the original MYST, players will solve puzzles, explore their surroundings and interact with items and objects that deliver clues from which players must piece together answers in order to move ahead and solve the mysteries that lie within. 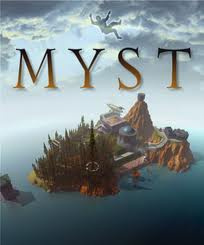 MYST is the latest announcement from the UK Publisher with more exciting products coming through. “We are delighted to be publishing MYST” commented Mark Clemens, Sales Manager at Funbox. “This game needs no introduction and we’re sure it’s going to be a big hit with the fans that remember the original and those that will be new to one of the greatest adventure games ever, we’re sure we have a great hit on our hands and further enhances our commitment to bringing exciting products and licenses to the market across all platforms”. While MYST for Nintendo 3DS stays true to the original game’s model in keeping all your favourite elements, the upcoming addition takes the classic journey to a new level with sharp 3D environments which transport players even further into the enigma of the game. So, are any of you going to track this down when it's released? I don't know how big the game is but i think this would have been a better fit to the eShop. Will maybe get it when it's cheap one day. Myst in 3D? Sounds pretty damn tempting....Toss in Touch screen controls to interactive with the environment and puzzles and I'd buy it day one. @battLeToaD I have Myst on iPhone and it's over 600MB. So I don't think the eShop is a viable solution. This was one of the first games that my wife and I played just after we got married. We would both come home from work and sit down next to each other at the computer with a notepad and pencil. We'd take notes and draw diagrams while we worked through each puzzle together. It was a great experience on the PC. It's an experience I could definately enjoy again with my two kids. Unfortunately, it's tough to have the type of experience I need on a handheld, especially the 3DS with such a limited field of view. Sorry Myst, I won't be buying you on the 3DS. I hope the comes to North America sometime. OMG I remember playing this game on my PackardBell computer with Windows 95! Good game, didn't this come on the DS?? I don't remember anything close to 80 hours of game play. Yeah another bargain bin purchase for me. Maybe. has there been any word on a US release?? This game was really awesome back in the day....but it's certainly dated now. oh! the day after my birthday (time to start leaving hints for my non-gamer hubby!). Give me Riven--the best game in the series--and stop rehashing Myst. Yea, riven is better but I'm sure that it's release is dependent on how well Myst does. Unfortunately, those of us who have beaten Myst over a decade ago can beat the game in literally 30 seconds with the right input code in the punch board. I took such copious notes when I played that I can still remember it. It just doesn't seem like a game I'd ever want to replay. Part of the fun was the discovery of the plot. Once you figure it out, it just doesn't have replay value in my opinion. isn't this game in the apple app store? Why not put it on the E-Shop? I love Myst but i'm really worried that this treatment will disappoint the legacy much like the DSi predecessor did. Also, it's concerning that the gameplay takes place on the bottom screen. I know the player needs to "click" on things in terms of item interaction and walking around, but they could have found a way to do that with the controller and the top screen. It worked for Broken Sword which in essence is much the same thing as Myst. I'm a MYST junkie (I still am part of MYST Online: URU Live). I really REALLY hope that this is going to be a realMYST version. If it is, I will be ecstatic! @kyuubikid213 Head over to gog.com . There you can buy and download MYST: Masterpiece Edition, Riven, URU (the offline version), and realMYST. If you head over to mystonline.com, you can download the Online version of URU for free. My memories of this game are nostalgic, but not exactly fond. I was six in 1993 and I tried to play it without help. While I could read just fine at that age, the puzzles were beyond me. I do remember loving the feel of the world - back then it really was like walking around in it. I think I tried picking it back up again when I was 12 or so but it felt dated and clunky and I just got bored. If this gets a good review it might be worth trying once again. @Joco84 Then check out realMYST. Or if you want one of the most amazingly realistic looking games of all time, try MYST IV (though it is my least favorite saga in the MYST franchise, it is the most realistic looking). URU, Riven, and MYST III are also very well detailed and much more realistic than MYST. Same goes for MYST V (which uses the URU engine). I don't know whether I have the patience for Myst, but I'd love to give it another shot.